11. A par three fraught with danger and signature hole. 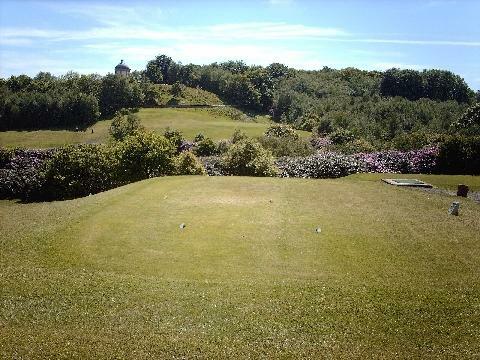 Carry the ravine which slides to the right but don�t be short or your ball will return to the bottom in the semi. Try using the bank on the left to get to this elevated green.